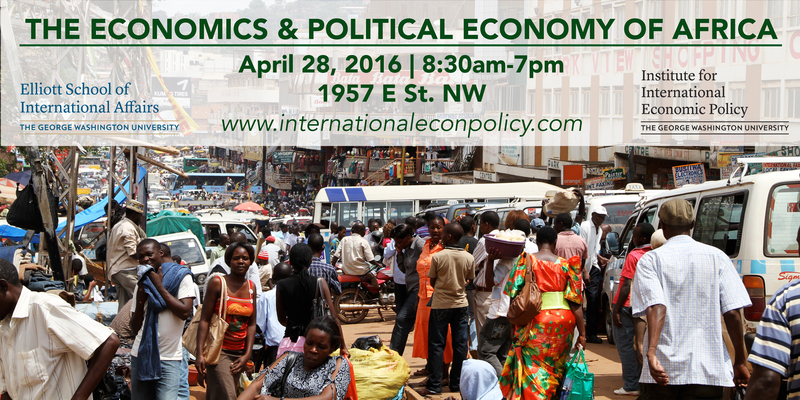 Hosted by the Institute for International Economic Policy at George Washington University, this conference brings together scholars to discuss important new research on the political economy and economics of sub-Saharan Africa. The core organizers are Remi Jedwab (ESIA and Department of Economics at GWU) and Eric Kramon (ESIA And Department of Political Science at GWU). Faculty presenters include Richard Akresh, Jenny Aker, Pascaline Dupas, Evan Lieberman, Edward Miguel, Ameet Morjaria, Nathan Nunn, and Leonard Wantchekon. 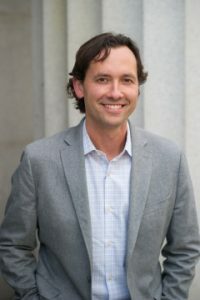 Rémi Jedwab is an assistant professor of Economics and International Affairs at the Elliott School and the Department of Economics of George Washington University. He received his Ph.D. in economics from the Paris School of Economics. He was also a visiting Ph.D. student at the London School of Economics for three years. 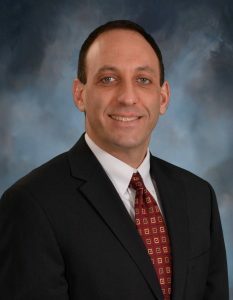 Professor Jedwab’s main field of research is urban economics, though his work also has strong development economics, public economics/political economy and economic history themes. Some of the issues he has studied include urbanization and structural transformation, the economic effects of transportation infrastructure, and agricultural and economic development in Africa. His research has been published in the American Economic Review, the Review of Economics and Statistics, the Economic Journal and the Journal of Economic Growth. Recently, Professor Jedwab research areas have included the phenomenon of urbanization without economic growth, and his research has been highlighted by The Atlantic’s CityLab and the Boston Globe. Professor Kramon’s research focuses on barriers to accountability and good governance in developing democracies, with a regional focus on sub-Saharan Africa. His current book project examines the causes and consequences of vote buying during African elections. Other projects investigate the role of election observation in promoting electoral quality; ethnicity and the politics of public goods provision; and the determinants of ethnic voting. Ambassador Reuben E. Brigety II most recently served as the appointed Representative of the United States of America to the African Union and Permanent Representative of the United States to the UN Economic Commission for Africa on September 3, 2013. Prior to this appointment, Ambassador Brigety served as Deputy Assistant Secretary of State in the Bureau of African Affairs from November 14, 2011 until September 3, 2013 with responsibility for Southern African and Regional Security Affairs. From December 2009 to November 2011, he served as Deputy Assistant Secretary of State in the Bureau of Population, Refugees, and Migration. In this capacity, he supervised U.S. refugee programs in Africa, managed U.S. humanitarian diplomacy with major international partners, and oversaw the development of international migration policy. A native of Jacksonville, Florida, Ambassador Brigety previously served as Director of the Sustainable Security Program at the Center for American Progress from January 2008 to November 2009 and as a Special Assistant in the Bureau for Democracy, Conflict, and Humanitarian Assistance at the U.S. Agency for International Development from January 2007 to January 2008. From November 2008 to January 2009, he also served as a senior advisor for Development and Security to the U.S. Central Command Assessment Team in Washington and in Doha, Qatar. Ambassador Brigety is a 1995 distinguished midshipman graduate of the U.S. Naval Academy, where he earned a B.S. in political science (with merit), served as the Brigade Commander and received the Thomas G. Pownall Scholarship. He also holds an M.Phil. and a Ph.D. in international relations from the University of Cambridge, England. Ambassador Brigety is a member of the International Institute for Strategic Studies, a Life Member of the Council on Foreign Relations, and a recipient of the Council’s International Affairs Fellowship. Edward Miguel is the Oxfam Professor of Environmental and Resource Economics and Faculty Director of the Center for Effective Global Action at the University of California, Berkeley, where he has taught since 2000. He earned S.B. degrees in both Economics and Mathematics from MIT, received a Ph.D. in Economics from Harvard University, where he was a National Science Foundation Fellow, and has been a visiting professor at Princeton University and Stanford University. Ted’s main research focus is African economic development, including work on the economic causes and consequences of violence; the impact of ethnic divisions on local collective action; interactions between health, education, environment, and productivity for the poor; and methods for transparency in social science research. He has conducted field work in Kenya, Sierra Leone, Tanzania, and India. Ted is a Faculty Research Associate of the National Bureau of Economic Research, has served as Associate Editor of the Quarterly Journal of Economics and Journal of Development Economics, is a recipient of the 2005 Alfred P. Sloan Fellowship, and winner of the 2005 Kenneth J. Arrow Prize awarded annually by the International Health Economics Association for the Best Paper in Health Economics. 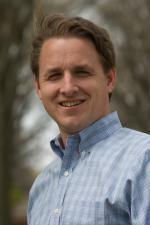 He co-founded the Center for Effective Global Action (CEGA) in 2007 and serves as Faculty Director. He has served as the Co-organizer (with Dan Posner of UCLA) of theWorklng Group in African Political Economy (WGAPE) since 2002. Ted is also the co-founder and Faculty Director of the Berkeley Initiative for Transparency in the Social Sciences (BITSS). Miguel has written two books, Africa’s Turn? (MIT Press 2009), and, with Ray Fisman, Economic Gangsters: Corruption, Violence and the Poverty of Nations(Princeton University Press 2008). Economic Gangsters has been translated into ten languages, and the New York Times’ Nicholas Kristof praises it as “smart and eminently readable”. Miguel’s other writing has appeared in Foreign Affairs, Forbes, and the New York Times. 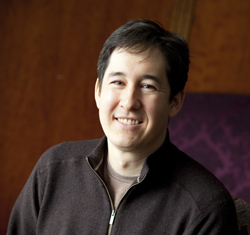 Wantchekon is Professor in the Politics department and Woodrow Wilson School, and associated faculty in the Economics department at Princeton University. His research is broadly focused on political and economic development, particularly in Africa. His specific interests include the political economy of infrastructure provision, education and human capital externalities, democratization, clientelism and redistributive politics, the resource curse, and the long-term social impact of historical events. He is the author of numerous publications in leading academic journals such as American Economic Review, the Quarterly Journal pf Economics, the American Political Science Review, American Economic Journal: Applied Economics, the journal of Law, Economics and Organization and, World Politics. He is a member of the American Academy of Arts and Sciences and the founder the African School of Economics (ASE), which opened in Benin in September 2014. Jenny C. Aker is an Associate Professor of Development Economics at the Fletcher School and Department of Economics at Tufts University. She is also a Non-Resident Fellow at the Center for Global Development , a member of the Advisory Board for CDA, Frontline SMS and the Boston Network for International Development (BNID) . She also serves as the Deputy Director of the Hitachi Center for Technology and International Affairs and is the Interim Director for the Center for International Environment and Resource Policy (CIERP). 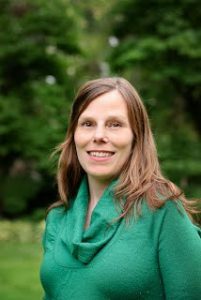 After working for Catholic Relief Services as Deputy Regional Director in West and Central Africa between 1998 and 2003, Jenny completed her PhD in agricultural economics at the University of California-Berkeley. Jenny works on economic development in Africa, with a primary focus on the impact of information (and information technology) on development outcomes, particularly in the areas of agriculture, agricultural markets, adult education and financial inclusion; the determinants and impacts of agricultural technology adoption; and the impact of different mechanisms and modalities of social protection (cash and in-kind transfers). Jenny has conducted field work in Benin, Burkina Faso, Burundi, Chad, DRC, The Gambia, Ghana, Guinea, Kenya, Liberia, Mali, Mozambique, Niger, Nigeria, Rwanda, Senegal, Sierra Leone, South Sudan and Tanzania, as well as Haiti and Guatemala. Richard Akresh is an Associate Professor of Economics at the University of Illinois at Urbana-Champaign. He received his Ph.D. in Economics from Yale University in 2004. His research focuses on child health and education in Africa and spans the fields of development, health, and labor economics. He has explored the impact of conflict on human capital and health investments for young children as well as the long-term consequences of exposure to war as a child. He has studied how household structure and sibling rivalry impact households’ decisions concerning educational investments in their children. He has conducted randomized control trials of alternative ways to deliver cash transfers to poor households in Africa to improve child health and education. He is also interested in questions about child labor, migration, and intra-household bargaining. He is a Research Associate of the NBER, a BREAD Research Affiliate, a Research Fellow at IZA, and a Senior Affiliate at HiCN. Evan Lieberman is the Total Professor of Political Science and Contemporary Africa at MIT. Previously, Lieberman was a member of the faculty at Princeton University for 12 years, and a Robert Wood Johnson Health Policy Scholar at Yale University. He received his PhD from the University of California, Berkeley, and his BA from Princeton. 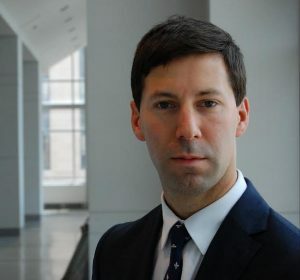 Lieberman’s research is concerned with understanding the determinants of good governance and policy-making, and the causes and consequences of ethnic conflict, particularly in sub-Saharan Africa. He also writes and teaches on research methods for comparative analysis. Lieberman is the author of two scholarly books, Race and Regionalism in the Politics of Taxation (Cambridge 2003) and Boundaries of Contagion: How Ethnic Politics Have Shaped Government Responses to AIDS (Princeton 2009) and numerous scholarly articles that have appeared in the American Political Science Review, Comparative Political Studies, World Development, Social Science and Medicine, and other journals. He received the David Collier mid-career achievement award at the 2014 annual meeting of the American Political Science Association. Lieberman serves on the board of directors of the Southern African Legal Services Foundation, the international advisory board of the African School of Economics, and is a member of the egap network. 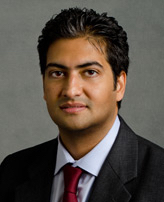 Ameet Morjaria is an Assistant Professor of Managerial Economics and Decision Sciences at Kellogg School of Management, Northwestern University. Prior to joining Kellogg in 2015, he was an Academy Scholar at Harvard University’s Weatherhead Centre for International Affairs and a Giorgio Ruffolo Post-Doctoral Fellow in the Sustainability Science Program at the Centre for International Development, Harvard Kennedy School. He completed his PhD in Economics at the London School of Economics. His research interests are in development economics, organizations and political economy. His current research focuses on understanding the impact of competition on productivity and relational contracts, industrial policy in developing countries, the impact of electoral conflict on firm operations, and the political economy of resource management in weak democracies. He has consulted for the World Bank, Kaiser Associates and prior to graduate school worked in investment banking at Deutsche Bank. Nathan Nunn is a Professor of Economics at Harvard University. Professor Nunn was born in Canada, where he received his PhD from the University of Toronto in 2005. Professor Nunn’s primary research interests are in economic history, economic development, cultural economics, political economy and international trade. 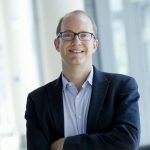 He is an NBER Faculty Research Fellow, a Research Fellow at BREAD, and a Faculty Associate at Harvard’s Weatherhead Center for International Affairs (WCFIA). He is currently a co-editor of the Journal of Development Economics. One stream of Professor Nunn’s research focuses on the long-term impact that historic events have on current economic development. In particular, he has studied how history shapes the evolution of institutions and cultures across societies. He has published research empirically examining the historical foundations of current outcomes such as distrust, gender norms, religion, and support for democracy. A second stream of Professor Nunn’s research examines economic development in a contemporary context. He has published research examining the effects of Fair Trade certification, CIA interventions, industrial policy, and foreign aid. A third stream of Professor Nunn’s research focuses on the importance of contracting institutions for international trade. He has published research showing that a country’s ability to enforce written contracts is a key determinant of comparative advantage, as well as research examining how contracting frictions affects firms decision to engage in FDI versus outsourcing. Rebecca Thornton is an Associate Professor in the Department of Economics at the University of Illinois Urbana Champaign. 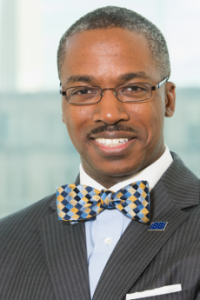 Prior to that, Dr. Thornton was in the Department of Economics and a Research Affiliate at the Population Studies Center at the University of Michigan. Dr. Thornton completed her PhD in Political Economy and Government with a joint degree from the Harvard University Economics Department and the J.F. Kennedy School of Government in 2006. She was an NIA post-doc from 2006 to 2008 at the University of Michigan Population Studies Center. Her research focuses on health and education in developing countries including topics such as HIV prevention, reproductive health, primary education, and social networks. Dr. Thornton is an affiliate with the Abdul Latif Jameel Poverty Action Lab (J-PAL) whose main aims are to use experimental methods to translate research into policy action and alleviate poverty in the developing world. She is also a junior affiliate in BREAD (Bureau for Research and Economic Analysis of Development). Sarah Baird is an Associate Professor of Global Health and Economics in the Department of Global Health. She is also an Affiliated Faculty at The Institute for International Economic Policy (IIEP) at the Elliot School of International Affairs. Dr. Baird is a development economist whose research focuses on the microeconomics of health and education in developing countries with an emphasis on Sub-Saharan Africa. She has worked on areas as diverse as the schooling and health of young women in Malawi, community-driven development in Tanzania, deworming in Kenya, and global infant mortality. She received her Ph.D. in the Department of Agricultural and Resource Economics at UC Berkeley in 2007. Markus Goldstein is a development economist with experience working in Sub-Saharan Africa, East Asia, and South Asia. 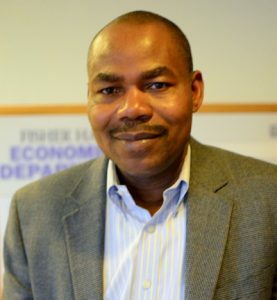 He is currently a Lead Economist in the Office of the Chief Economist for Africa at the World Bank, where he leads the Gender Innovation Lab. His current research centers on issues of gender and economic activity, focusing on agriculture and small scale enterprises. He is currently involved in a number of impact evaluations on these topics across Africa. Markus has taught at the London School of Economics, the University of Ghana, Legon, and Georgetown University. He holds a PhD from the University of California, Berkeley. James Habyarimana joined the McCourt School Public Policy in 2004 after completing doctoral studies at Harvard University. His main research interests are in Development Economics and Political Economy. In particular he is interested in understanding the issues and constraints in health, education and the private sectors in developing countries. In health he is working on understanding the impact of policy responses to the HIV/AIDS epidemic in Africa and evaluating a number of health improving interventions in road safety and water, sanitation and hygiene. In education, his work focuses on identifying programs and policies to improve access and quality of secondary schooling. His primary regional focus is Africa. He has been a non-resident fellow at the Center for Global Development. At the McCourt School, James teaches the second course in regression methods and courses on the history of development and education and health policy in developing countries. 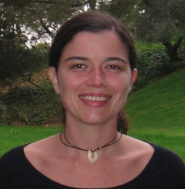 Adrienne LeBas (PhD, Columbia University) joined the Department of Government in the fall of 2009. 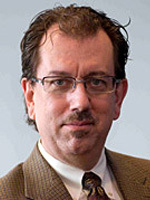 Prior to joining AU, LeBas was a Prize Research Fellow at Nuffield College, University of Oxford, and Assistant Professor of Political Science and African Studies at Michigan State University. Her research interests include social movements, democratization, and political violence. She is the author of the award-winning From Protest to Parties: Party-Building and Democratization in Africa (Oxford University Press, 2011) and articles in the British Journal of Political Science, the Journal of Democracy, Comparative Politics, and elsewhere. LeBas also worked as a consultant for Human Rights Watch in Zimbabwe, where she lived from 2002 to 2003. Her most recent work looks at attitudes toward taxation in urban Nigeria. During the 2015-2016 academic year, LeBas will be a residential fellow at the Woodrow Wilson International Center for Scholars in Washington, DC. She will be working on her second book, which investigates the reasons for persistent election violence in some democratizing countries. Kenneth Leonard is an associate professor in the department of Agricultural and Resource Economics at the University of Maryland, specializing in the delivery of public services to rural populations in Africa. He has lived and worked in several African countries, including Cameroun, Ethiopia, Gabon, Kenya, Tanzania, Malawi and Liberia. His work has highlighted the important roles played by both traditional healers and nongovernmental organizations in the delivery of health care as well as the ways that social networks within communities help individuals to make better decisions. Dr. McCauley is an Assistant Professor of Government and Politics. His research focuses on ethnic and religious conflict, economic development, and informal political institutions in Africa. He has published articles on these topics in the American Political Science Review, Comparative Political Studies, Political Psychology, and Political Science Research and Methods, among others. His book manuscript, The Logic of Ethnic and Religious Conflict in Africa, is currently under review. 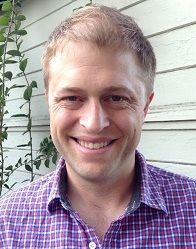 Dr. McCauley received his Ph.D. in Political Science from the University of California, Los Angeles in 2010. He has a B.A. in Economics from the College of William & Mary and an M.A. in International Relations from Yale University. Prior to joining the faculty at Maryland, he was a post-doctoral research fellow in the Kennedy School of Government at Harvard University. 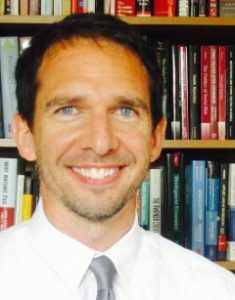 In addition to his research, Dr. McCauley teaches courses on the Politics of the Developing World, African Politics, Field Research Methods, and Religion and Politics around the World. In 2013, he was awarded the Excellence in Teaching award from the College of Behavioral and Social Sciences. 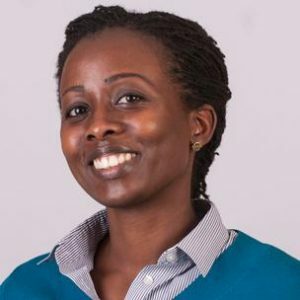 Mũthoni Ngatia is an assistant professor of Economics at Tufts University. She is currently on sabbatical at the World Bank. Her research has looked at how social networks affect individuals’ behaviour in developing countries. She has an A.B. in Applied Mathematics and Economics from Harvard University and a Ph.D. in Economics from Yale University. Mũthoni is the recipient of grants from J-PAL, PEDL, Kilimo Trust, and The Russell Sage Foundation among others. 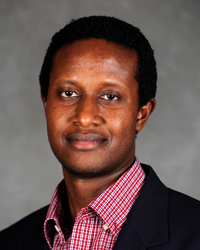 Ken Opalo is an Assistant Professor at the Edmund A. Walsh School of Foreign Service. His research interests include the political economy of development; legislative development; and electoral politics in emerging democracies. Ken’s current book project examines the evolution of legislatures in emerging democracies, with a focus on explaining the observed variation in the institutionalization and strength of African legislatures. Dr. Derick W. Brinkerhoff is Distinguished Fellow in International Public Management with RTI International (Research Triangle Institute) and is an associate faculty member at George Washington University’s Trachtenberg School of Public Policy and Public Administration. His research and consulting focuses on policy implementation, democracy and governance, decentralization, citizen participation, social accountability, partnerships, and fragile conflict-affected states. He has worked with international donors, public sector agencies, NGOs, and the US military across a broad range of development sectors in 30 countries, with a long-term focus on the health sector. From 1990-2001, he was research director of USAID’s Implementing Policy Change project. Dr. Brinkerhoff is a co-editor for the journal, Public Administration and Development; and serves on the editorial board of International Review of Administrative Sciences. He is the co-chair of the governance work group of the Society for International Development’s Washington DC chapter. He has published extensively, including eight books and numerous articles and book chapters. He holds a doctorate in public policy and administration from Harvard University and a masters in public administration from the University of California, Riverside. He is a Fellow of the National Academy of Public Administration. Jennifer M. Brinkerhoff is Professor of Public Administration and International Affairs at the George Washington University. She holds a Ph.D. in public administration from the University of Southern California in Los Angeles, and an MPA from the Monterey Institute of International Studies. She teaches courses on public service, international development policy and administration, development management, and organizational behavior. She is particularly keen on encouraging people to pursue service careers, thoughtfully grounding their commitment to change in self-awareness and working in communities. To that end, she and her husband, Derick W. Brinkerhoff, published Working for Change: Making a Career in International Public Service (Bloomfield, CT: Kumarian Press, 2005). Dr. Brinkerhoff has expertise on public-private partnership, governance, NGOs, development management, and diasporas. Her publications include seven books, as well as four co-edited journal issues and over fifty articles and book chapters on topics ranging from institutional reform, to evaluation; NGOs; failed states; governance; and diaspora identity, development contributions, citizenship, and policy. She is the author of Institutional Reform and Diaspora Entrepreneurs: The In-Between Advantage (Oxford University Press, forthcoming 2016), Digital Diasporas: Identity and Transnational Engagement (Cambridge University Press, 2009) and Partnership for International Development: Rhetoric or Results? (Lynne Rienner Publishers, 2002); and co-editor of NGOs and the Millennium Development Goals: Citizen Action to Reduce Poverty (New York: Palgrave MacMillan, 2007). Dr. Brinkerhoff consults for multilateral development banks, bilateral assistance agencies, NGOs, and foundations. Her applied work encompasses partnership, civil society, institutional development, development management, and training methodologies, and includes work for the Ministry of Foreign Affairs, the Netherlands; and in Africa, China, Mongolia, Central Asia, and Russia for the U.S. Agency for International Development (USAID) and the World Bank. She has provided policy advice to the U.S. State Department on its diaspora engagement strategy and conducted diaspora-related commissioned research for USAID, the Asia Development Bank, the Migration Policy Institute, the Nordic Africa Institute, the United Nations, and the World Bank. She has also advised studies for the Africa Diaspora Policy Centre, the John D. and Catherine T. MacArthur Foundation, and the Organization for Economic Cooperation and Development. She has delivered training related to diasporas and development to U.S. State Department Foreign Service and Desk Officers, USAID staff, international development consulting firms, and diaspora organizations and other government officials in the U.S., the Netherlands, and Sweden. James E. Foster is Professor of Economics and International Affairs at the George Washington University. He received his Ph.D. in economics from Cornell University and holds a Doctorate Honoris Causa from Universidad Autónoma del Estado de Hidalgo (Mexico). Professor Foster’s research focuses on welfare economics — using economic tools to evaluate and enhance the wellbeing of people. His joint 1984 Econometrica paper (with Joel Greer and Erik Thorbecke) is one of the most cited papers on poverty. It introduced the FGT Index, which has been used in thousands of studies and was employed in targeting the Progresa CCT program in México. Other research includes work on economic inequality with Amartya Sen; on the distribution of human development with Luis Felipe Lopez-Calva and Miguel Szekely; on multidimensional poverty with Sabina Alkire; and on literacy with Kaushik Basu. Foster regularly teaches introductory and doctoral courses on international development and each spring joins with Professor Basu in presenting an undergraduate course on Game Theory and Strategic Thinking, to which staff and Board members of the World Bank are also invited. Professor Foster is also Research Fellow at the Oxford Poverty and Human Development Initiative (OPHI), Department of International Development, Oxford University, and a member of the Human Capital and Economic Opportunity (HCEO) Working Group, Becker Friedman Institute for Research in Economics, University of Chicago. This year he is serving on the World Bank’s Commission on Global Poverty. Stephen C. Smith is Professor of Economics and International Affairs at George Washington University, where he is Director of the Institute for International Economic Policy. 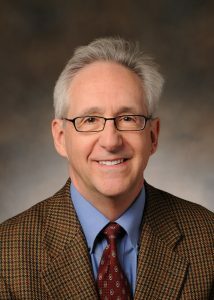 He received his PhD in economics from Cornell University and has been a Fulbright Research Scholar, a Fulbright Senior Specialist, a Visiting Fellow at the Brookings Institution, and a Jean Monnet Research Fellow; he is currently a Nonresident Senior Fellow at the Brookings Institution, an IZA Research Fellow, and a member of the Advisory Council of BRAC USA. He is Principal Investigator for the research project, “Complementarities of Training, Technology, and Credit in Smallholder Agriculture: Impact, Sustainability, and Policy for Scaling-up in Senegal and Uganda,” funded by BASIS / USAID. From 2009-2012, Smith served a previous term as Director of the Institute for International Economic Policy, where he helped create its four signature initiatives: climate adaptation in developing countries; extreme poverty; global economic governance; and the “G2 at GW” series. In the 1990s, he designed and served as first director of GW’s International Development Studies Program. From 2004-2008, he served as co-Principal Investigator, along with Prof. Jim Williams, of GW’s partnership with BRAC University (in Bangladesh). Professor Smith has also served as director of the Research Program in Poverty, Development, and Globalization.directs the Research Program in Poverty, Development, and Globalization. Smith has done on-site research and program work in several regions of the developing world including Bangladesh, China, Ecuador, India, Uganda, and Former Yugoslavia, and has been a consultant for the World Bank, the International Labour Office (ILO, Geneva), the United Nations Development Programme (UNDP), and the World Institute for Development Economics Research (UN-WIDER, Helsinki). Smith has also conducted extensive research on the economics of employee participation, including works councils, ESOPs, and labor cooperatives, which has included on-site research in Italy, Spain, and Germany, as well as China and India. 9:10 – 10:00AM: Guns and Roses: Flower Exports and Electoral Violence in Kenya, Ameet Morjaria (Kellogg School of Management, Northwestern University), joint with Rocco Macchiavello (Warwick) and Christopher Ksoll (Mathematica Policy Research). 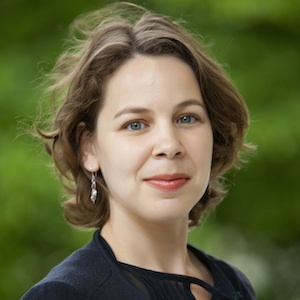 10:00 – 10:50AM: Making the Grade: Increasing Returns to Investment in Teacher Training in Northern Uganda, Rebecca Thornton (University of Illinois at Urbana-Champaign). 11:00 – 11:50AM: Child Labor, Schooling, and Child Ability, Richard Akresh (University of Illinois at Urbana-Champaign), joint with Emilie Bagby (UIUC), Damien de Walque (World Bank), and Harounan Kazianga (Oklahoma). 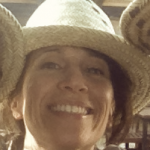 11:50AM – 12:40PM: Call Me Educated: Evidence from a Mobile Monitoring Experiment in Niger, Jenny Aker (Tufts University). 1:50 – 2:40PM: Bride Price and Female Education, Nathan Nunn (Harvard University), joint with Nava Ashraf (LSE), Natalie Bau (Toronto), and Alessandra Voena (Chicago). 2:40 – 3:30PM: Education and Long Term Social Mobility in Benin, Leonard Wantchekon (Princeton University & African School of Economics). 3:50 – 4:40PM: Nuanced Accountability: Voter Responses to Service Delivery in Southern Africa, Evan Lieberman (Massachussets Institute of Technology). 4:40 – 5:30PM: How Coethnicity Moderates The Effect of Information On Voting Behavior: Experimental Evidence from Benin, Eric Kramon (George Washington University), joint with Claire Adida (UCSD), Jessica Gottlieb (Texas A&M) and Gwyneth McClendon (Harvard). Unless otherwise indicated, the content and opinions expressed on this web site are those of the author(s). They are not endorsed by and do not necessarily reflect the views of the George Washington University.